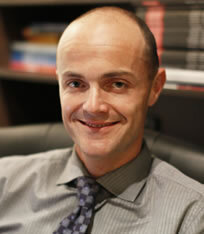 Dr William Braun is recognised as a leader in Weight Loss Surgeon both in Australia and world-wide. Dr. Braun was trained by leading bariatric centres in Australia and the U.S.A. and is experienced in all areas including range of surgical techniques and treatments, research, program development and patient support. Dr William Braun is a General Surgeon with sub-specialty training in Advanced Laparoscopic Upper & Lower Gastro-Intestinal & Metabolic & Hernia surgery. He underwent his advanced training in surgery in Sydney, and had further two years of post fellowship training in his areas of interest under the guidance of leading Australian and overseas surgeons. Having had an extensive experience in laparoscopic gastric banding and sleeve gastrectomy, Dr Braun had further training in the USA to learn laparoscopic Roux-en-Y gastric bypass surgery from the pioneers of this approach. Renowned for surgical precision, attention to detail, and strict post-operative management, Dr. Braun’s mission is to deliver high standard surgical care. He is dedicated and committed to provide timely and quality surgical services to his patients. Dr Braun chose to become a weight loss specialist after witnessing the profound positive impact metabolic surgery can have on a patient’s health and quality of life. Whereas conventional medical care tends to focus on treating the consequences of obesity, such as diabetes, heart disease, and joint degeneration, bariatric surgery treats the cause of these and many other common medical problems in a powerful and efficient way. Weight loss surgery is the only treatment that can put type 2 diabetes into remission, alleviate sleep apnoea, and improve fertility. It is wonderful to assist patients toward a happier, healthier and brighter future. The Society of American Gastrointestinal and Endoscopic Surgeons (SAGES). Dr Braun operates at North West Private Hospital; Holy Spirit North Side; Caboolture Private and Redcliffe Public Hospitals. Dr Braun consults at Everton Park, Kippa-Ring, and Burpengary. All Appointments are made via Main Rooms at Everton Park. Call for an appointment 3353 9694.